Buttgenbachite: Mineral information, data and localities. Deep blue; blue in transmitted light. 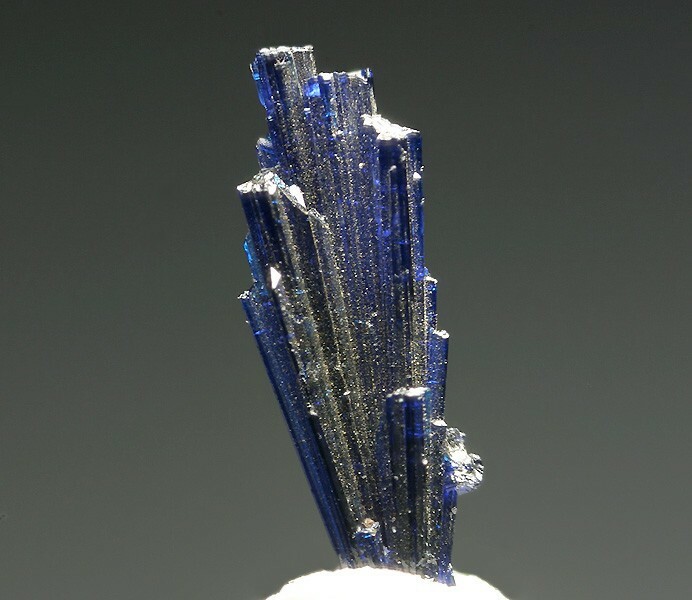 Named in 1925 by A. Schoep for Henri Buttgenbach (Verviers, Liège province, Belgium February 5, 1874 - Sint-Pieters-Woluwe, Brussels, April 29, 1964), a Belgian mineralogist. 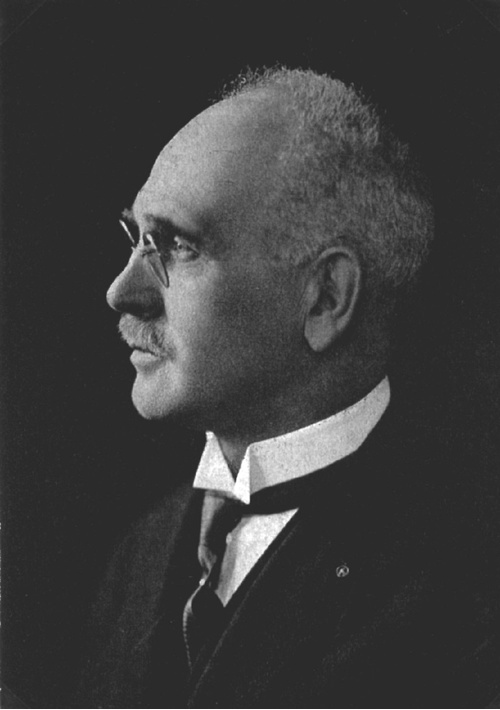 He worked in Congo, and from 1921 on was a professor at the University of Liège. He described several minerals and wrote 'Les minéraux de Belgique et de Congo Belge', a reference work. 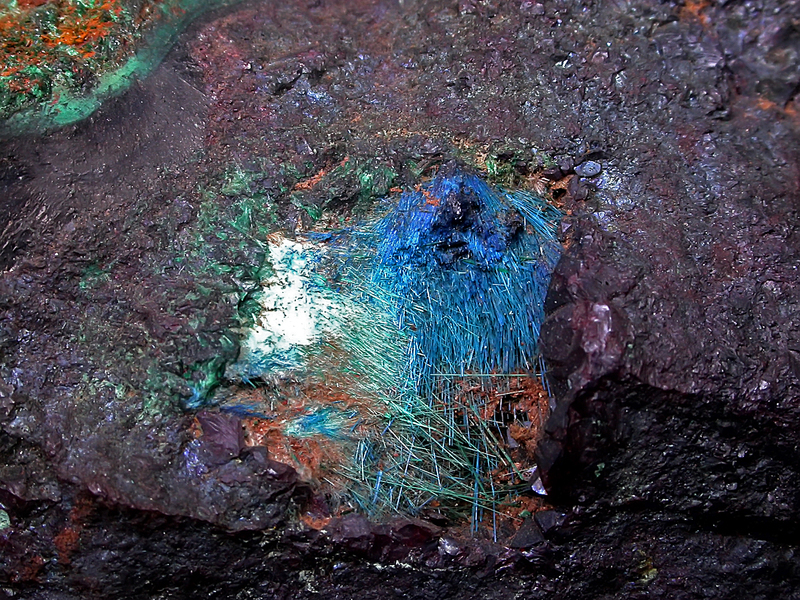 A very rare secondary copper mineral. Crystals acicular  and striated ; radiating groups of needles; felted aggregates. Laboratory of Mineralogy, University of Liège. 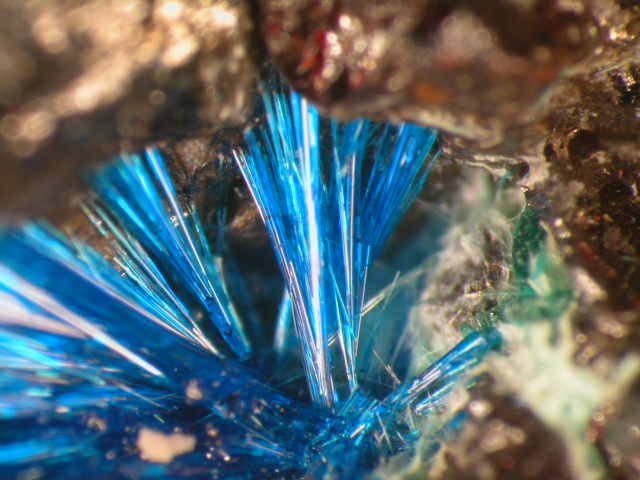 3.DA.40 Calumetite Cu(OH,Cl)2 · 2H2O Orth. 3.DA.45 Khaidarkanite Na0.34Cu4Al3(OH)14F3 · 2H2O Mon. 13.8 Sveite KAl7(NO3)4(OH)16Cl2 · 8H2O Mon. Soluble in acids and in ammonium hydroxide. Insoluble in water. Penfield (1890) American Journal of Science: 40: 82. Schoep, A. (1925) Comptes rendus de l'Académie des Sciences de Paris, vol. 181, 421. Schoep, A. (1925) Bulletin de la Société Chimique de Belgique, vol. 34, 313. Bannister, F.A., Hey, M.H., and Claringbull, G.F. (1950) Connellite, buttgenbachite, and tallingite. Mineralogical Magazine, vol. 29, n° 211, 280-286. Palache, C., Berman, H., and Frondel, C. (1951) The System of Mineralogy of James Dwight Dana and Edward Salisbury Dana, Yale University 1837-1892, Volume II. John Wiley and Sons, Inc., New York, 7th edition, revised and enlarged, 1124 pp. : 572-573. Mélon, J. and Toussaint, J. (1952) La buttgenbachite de Likasi (Congo belge). Bulletin de la Société Géologique de Belgique 75, 293-296. (in French). Sharpe, J.L., Williams, P.A. (2000) Exotic Secondary Copper Mineralization in the Eastern Mt Isa Block, Northwest Queensland. The Royal Society of New South Wales, 133:31-32. Personal communication from Jasun McAvoy. Jasun acquired the material from one of the miners. The material has been analyzed. Personal communication from Jasun McAvoy and Carsten Slotta. Anthony, J.W., et al (1995), Mineralogy of Arizona, 3rd.ed. : 149; Williams, S.A, (1963), Oxidation of sulfide ores in the Mildren and Steppe mining districts, Pima Co., AZ, Econ.Geol. : 58: 1119-1125.